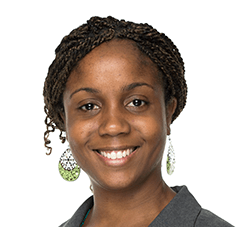 Shanna Ricketts holds a Ph.D. in educational studies from Emory University, an MBA from INSEAD, and a bachelor’s in economics from Harvard University. Shanna is a 99th-percentile scorer on the GMAT. During the day, she does data analysis for a large school district. Shanna has had the opportunity to live on multiple continents, though she is still, sadly, monolingual. She has over ten years of test prep experience, starting shortly after she completed her undergraduate degree. She is passionate about helping her students achieve their goals and enjoys hearing from former students who have gone on to do great things. Outside of work and test prep, Shanna attends to her precocious 9-year-old son, shuttling him around to his various activities.